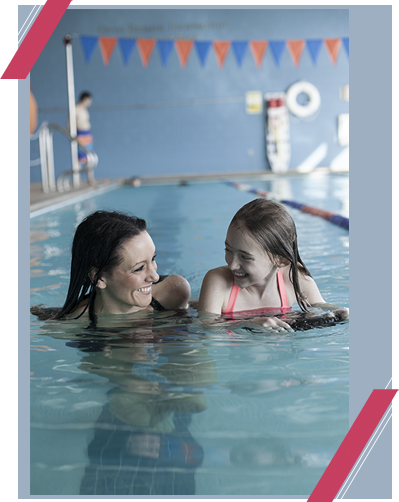 Family Wellness Swim School is perfect for swimmers 6 months old to adults. With our 4:1 ratio of swimmers to instructor (6:1 in Parent/Baby and Parent/Child) you will be certain to learn and have fun! Please use the links below to learn about our different levels, what level would be good to get started in, and how our levels compare to the Red Cross levels. Schedules and dates are updated regularly, so check back to find information on upcoming sessions. If you apply for a refund before the first class meeting, then a full credit can be given. Once a class begins, no credit will be given. There will be no credit/refund due to weather-related cancellations. No credit is given for membership or missed classes, and classes cannot be made up during a different lesson.